The Leading HVAC Contractor in Monroe! Choose a Southeast Michigan contractor with decades of experience performing quality HVAC installations for even the largest and most complex projects! From servicing the HVAC (Heating, Ventilation, & Air Conditioning) systems for DTE Energy’s Monroe Power Plant, to your child’s kindergarten classroom, our goal is to offer you the best possible heating and cooling solutions. In Monroe, we have completed La-Z-Boy’s new World Headquarters, Monroe County Community College’s new Career Technology Center, and a 358,000 square foot renovation of the Motherhouse for the Sisters, Servants of the Immaculate Heart of Mary - all of which feature energy saving geothermal HVAC systems. We are currently performing Geothermal Mechanical upgrades for the original Monroe County Community College Campus. One of our largest customers is The University of Michigan. 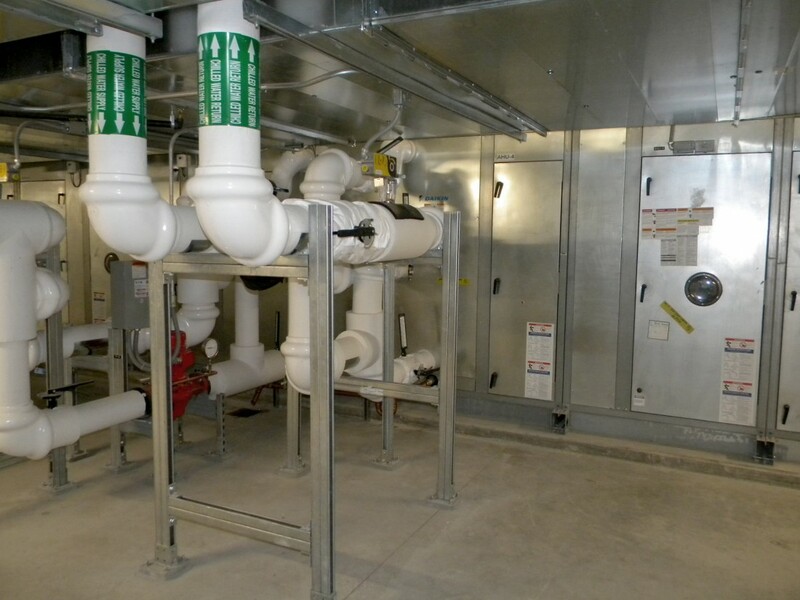 We have installed chillers, boilers, medical gas systems, laboratory gasses, plumbing systems and complete heating, ventilating, & air conditioning (HVAC) systems for numerous multi-story buildings at U of M over the past 30 years. For additional information regarding our qualifications, to request a bid, or to schedule service for any of your HVAC needs, please contact us today to speak to a member of our team. We service facilities in Monroe, Detroit, Ann Arbor, Adrian, Ypsilanti, Canton, Taylor, and the surrounding areas in Southeast Michigan.